Is there a law coming in banning the carrying of knives? 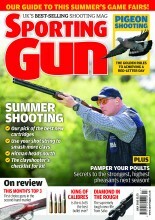 Many readers of this fine magazine use knives for every aspect of their shooting – what is going to happen to our ability to gralloch deer, paunch rabbits etc? It is very difficult to comment on rumour and with the recent spate of knife attacks this government may be panicked into doing almost anything. The law as it stands prohibits you from carrying a sharply pointed or bladed instrument in a public place without good reason or lawful authority. A knife with a folding blade less than three inches long and which does not lock (a traditional small penknife in other words) is exempt from this legislation. A public place is anywhere the public are entitled to go whether or not they have to pay. This includes public footpaths and privately owned land to which the public are permitted access. It follows that some shoots are public places and others are not and also that part of a shoot may be a public place whilst another part isnt. You would have good reason for carrying a knife in a public place if you are a farmer, fisherman, gamekeeper, stalker, rabbit controller, picker up or other person who might reasonably expect to have to use a knife in the course of their work or recreation. If you are travelling between your home and the shoot that would also constitute good reason, even if you stop off to do some shopping on the way. However if you inadvertently left the knife in the car or in your pocket on another occasion and then went shopping in the supermarket you would be committing an offence. In short, if you have a good reason for having a knife with you the new law does not affect you but you must be careful not to take it unless you have a reasonable expectation you might need to use it. I carry a knife in my game bag – which I am careful to remove from the car at the end of a days shooting.